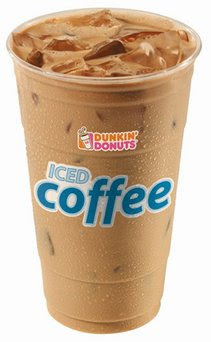 Get your pen ready and mark your calendars to enjoy an Iced Coffee from Dunkin Donuts for .50 cents next week. Nice Benefit: 10% of your purchase price will be donated to The Dunkin Brands Community Foundation to support Home for Our Troops. Go get an iced coffee and help our troops! Click here to find your local Dunkin Donuts. I used what in my hair?